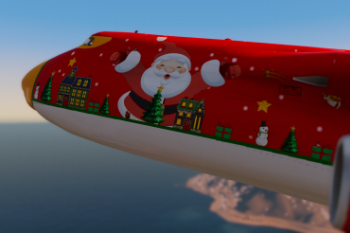 Don’t you think, you are treating Santa Claus in some way to disrespectful? 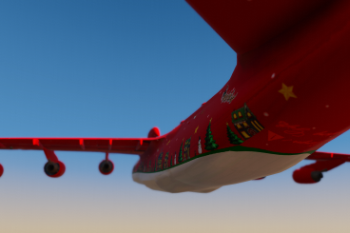 Almost every time, he is displayed somewhere he uses his very old fashioned sled. 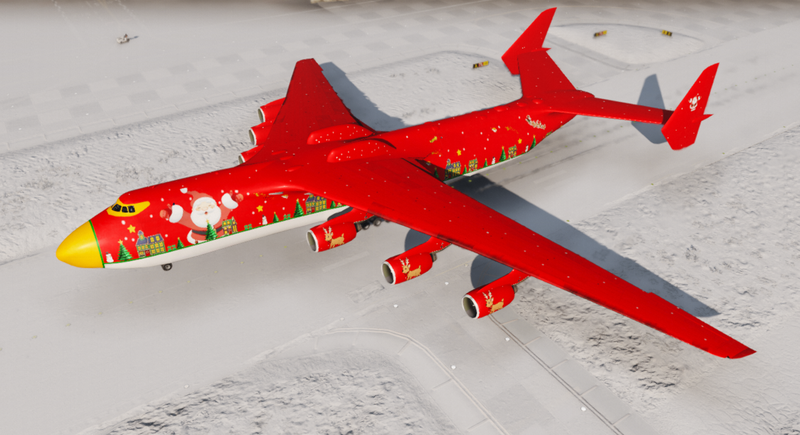 Don’t you think, Santa Claus goes with the time, too? As long, as you can’t prove something different he probably has already upgraded to a more powerful and comfortable aircraft. 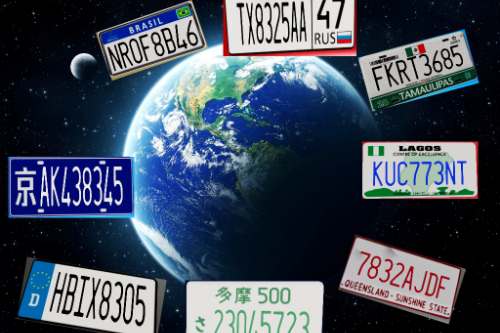 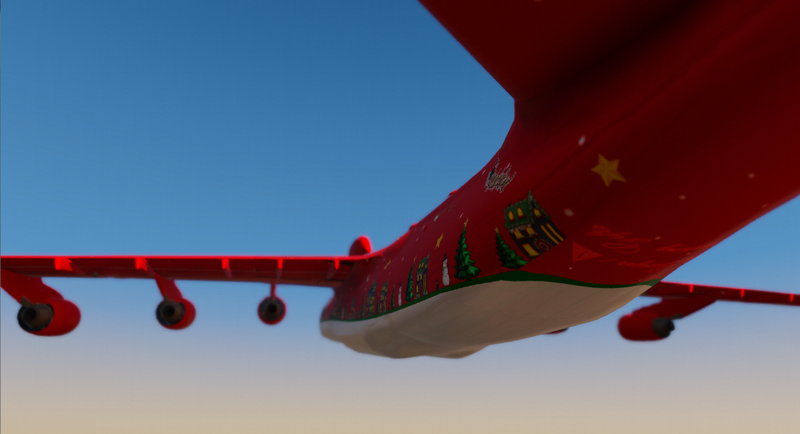 The world population increased by several billion in the last years, but the gifts are still delivered on time. 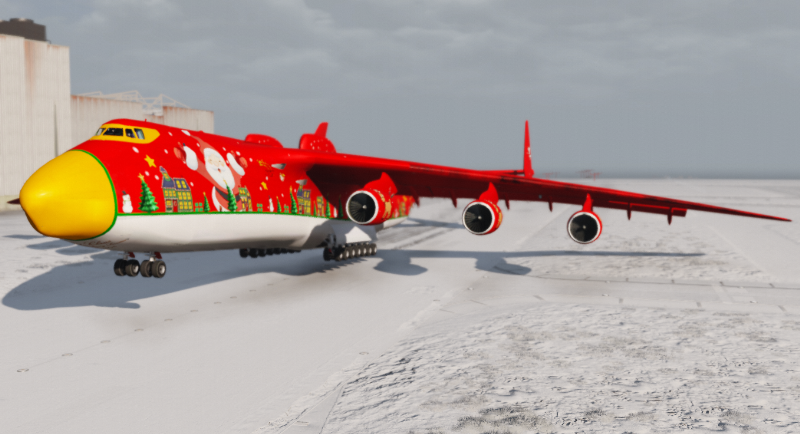 Do you think, this would be possible with a small and old sled? 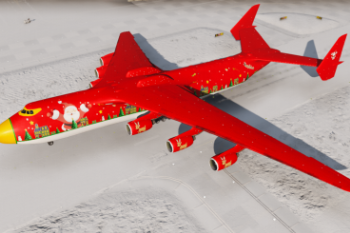 I’m pretty sure, he uses a big cargo plane, maybe an Antonov Mriya? 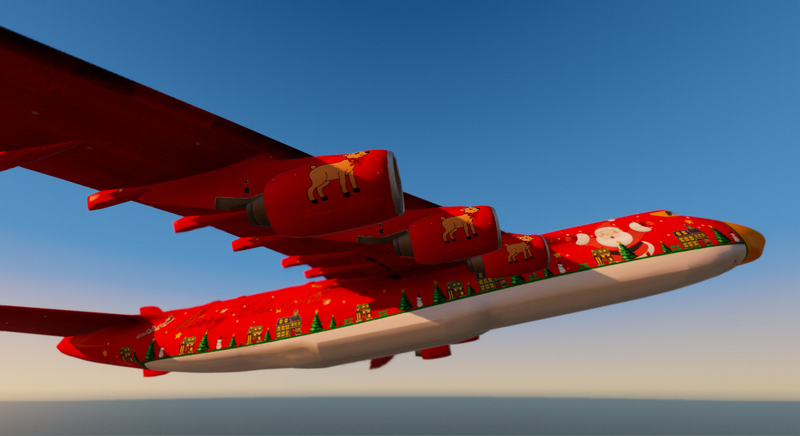 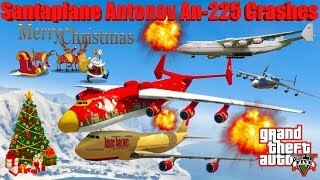 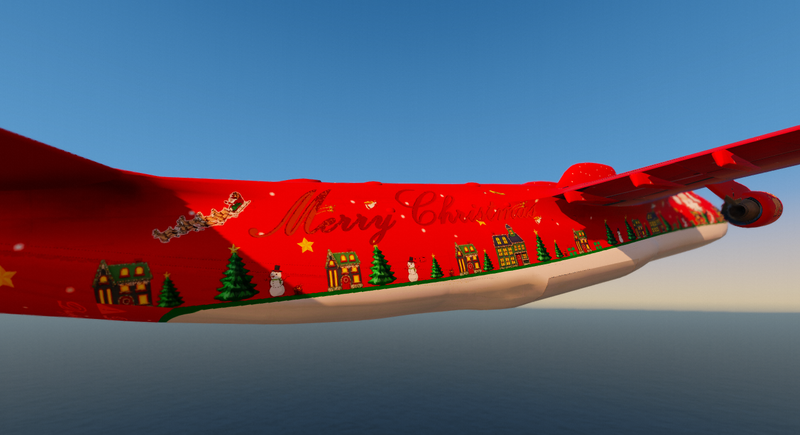 Here it is: The Santaplane 225 [SP-225], an special Antonov An-225 Mriya, made for Santa Claus. 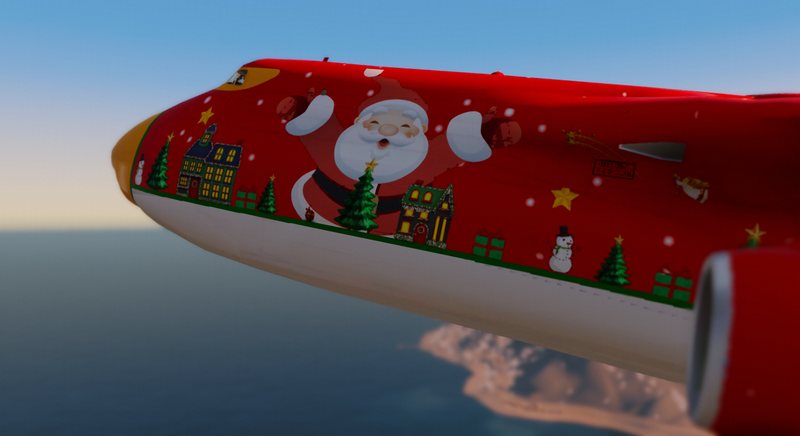 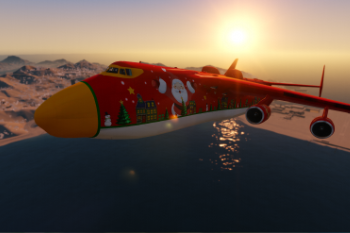 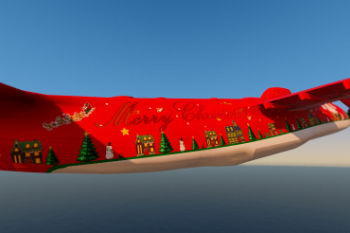 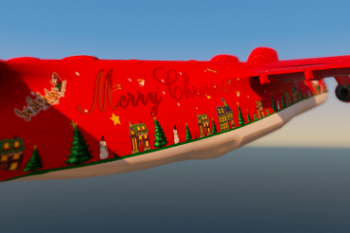 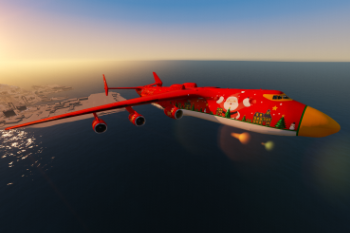 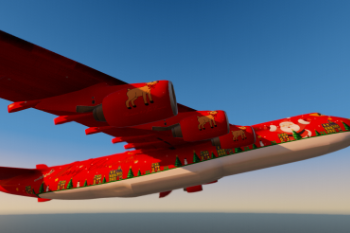 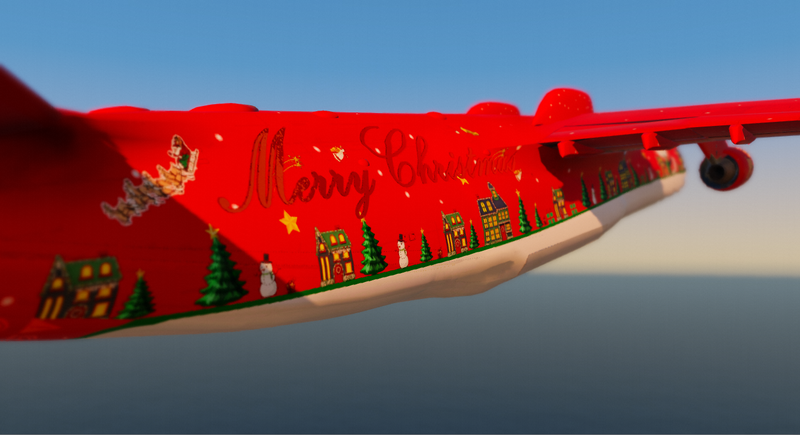 It features a big cargo room for all the gifts, 6 powerful Engines, even a bit more powerful than the original Mriya Engines, because Santa Claus needs STOL abilities to reach even the most secluded places on the earth plus it has a fancy Christmas-Livery. 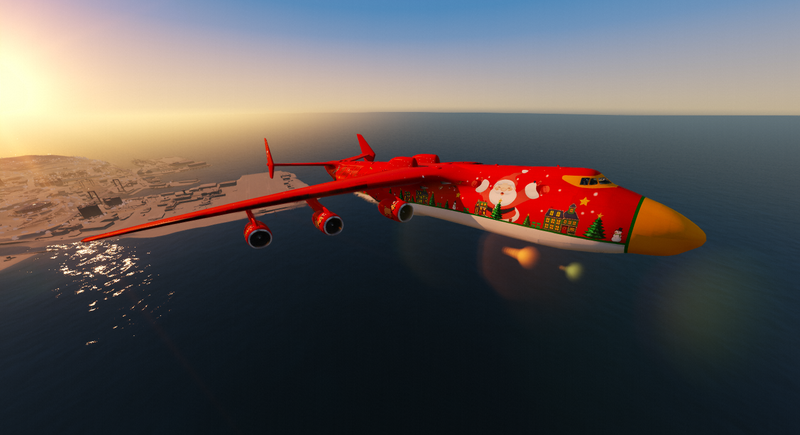 For this mod it is REQUIRED to download the mod “Antonov AN-225 Mriya” by SkylineGTRFreak first! 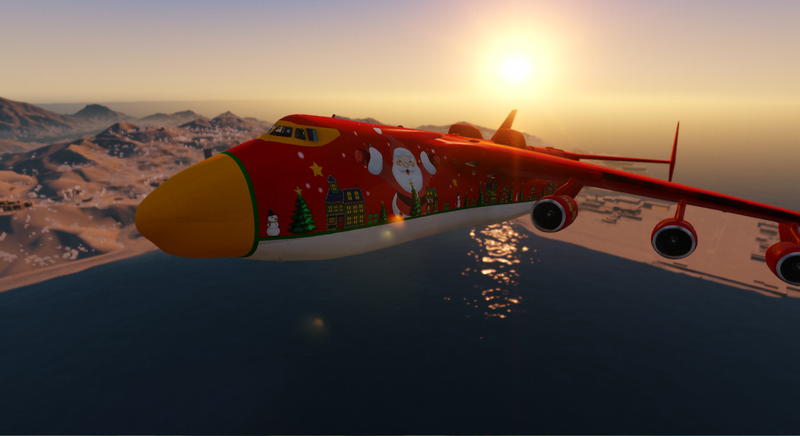 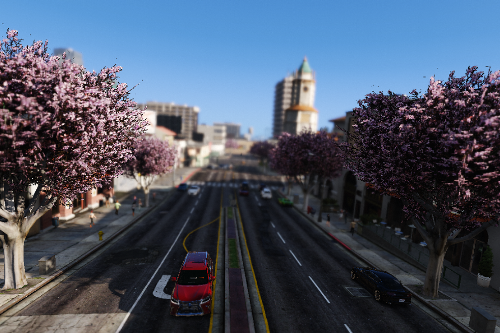 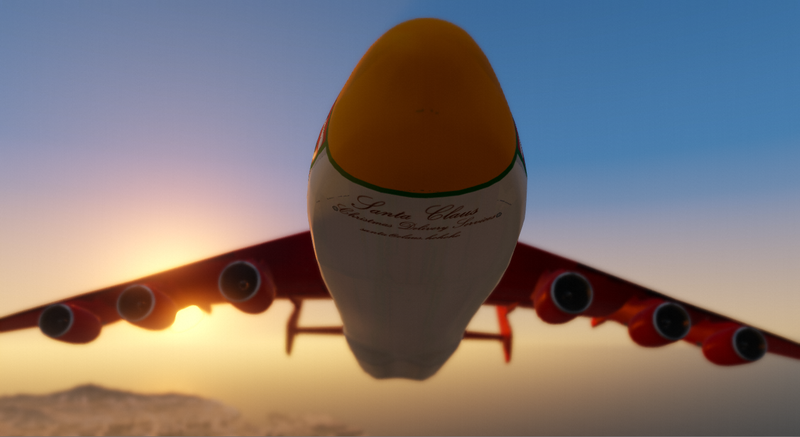 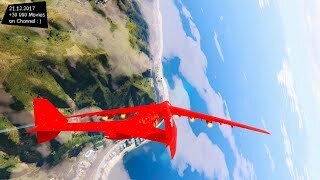 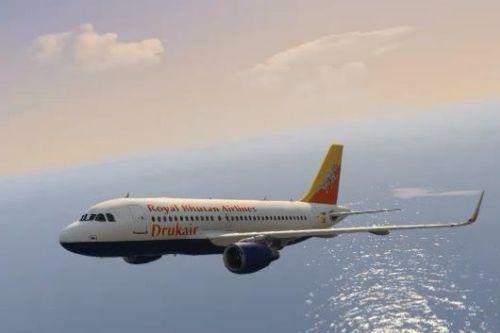 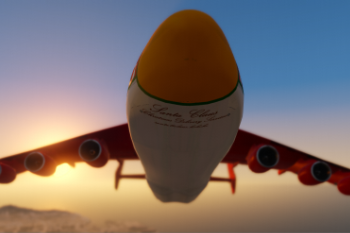 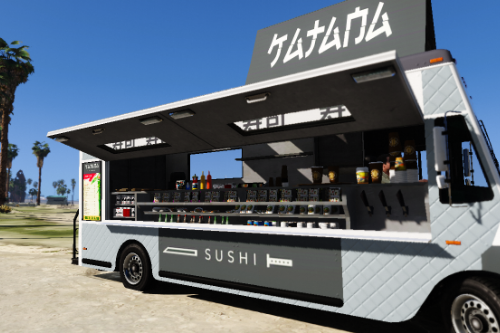 If you like to donate, please support SkylineGTRFreak, the creator of the used Mriya (https://www.gta5-mods.com/users/SkylineGTRFreak) or donate to a charity.